At Gardner Skelton, we are more than just your legal counsel we are an active part of your business team. Gardner Skelton partners with organizations of all kinds, from small start-ups to some of the region's largest and most recognizable businesses. We have the professional credentials our sophisticated clients demand, coupled with a dedication to teamwork, service and value that is our firm's hallmark. Gardner Skelton attorneys have, for more than a decade, stood toe to toe against national mega-firms and effectively and efficiently litigated business disputes for local, national, and international clients. We have extensive experience in a variety of federal and state courts (including North Carolina, California, Georgia, Maryland, Minnesota, South Carolina, and Tennessee), including multiple cases in North Carolina Business Court. Our experience includes corporate governance, shareholder and partnership disputes, fiduciary liability, consumer class action defense, franchisor/franchisee disputes, business buy/sells, commercial loan transactions, loan workouts, lender liability, insurance coverage and bad faith, noncompete and trade secret litigation and unfair competition. Jerry Jernigan's practice focuses on two areas of the law: business and estate planning. His business law practice includes the formation of business entities, preparing agreements between and among business owners, and the review and drafting of leases, licenses and the many other contracts that businesses need from time to time. Jerry regularly advises clients engaged in business combinations, asset acquisitions and sales. His business law practice also includes succession planning for the business owner. In Jerry's estate planning practice, he consults with clients about their estate planning needs and the determination of how to best meet them. Documents customarily prepared include Wills, Revocable and Irrevocable Trust Agreements, Durable Powers of Attorney for Financial Affairs, Health Care Powers of Attorney and Living Wills. Prior to joining Gardner Skelton PLLC, Jerry practiced as a solo attorney for 14 years. Before opening his own firm, he practiced in a medium-sized law firm in uptown Charlotte. Between undergraduate and law school, Jerry attended Navy Officer Candidate School and served several years on active duty in the United States Navy. Nicole Gardner practices employment law and represents a broad range of businesses and senior executives. She provides advice and counsel as well as representation in litigation. Nicole has been recognized for excellence by her peers, being consistently listed in Business North Carolina's "Legal Elite" as well as "Superlawyers" since 2010. Nicole was recently selected for inclusion in the 2014 edition of "Best Lawyers In America" for both commercial litigation and employment law/management. In 2014, "Superlawyers" also named Nicole as one of the top 50 women lawyers in North Carolina. 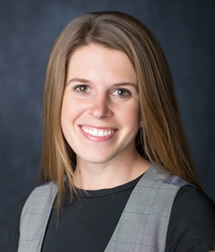 Nicole represents clients in state and federal courts in suits involving discrimination, harassment, retaliation, employee raiding, negligent hiring and retention, breach of contract and wage payment violations, as well as in general commercial disputes. She also advocates for her clients in administrative proceedings before the EEOC, the State and Federal Departments of Labor, and the Employment Security Commission. Nicole's non-litigation services include advising and counseling clients on Title VII, FMLA, ADA, NLRA, ERISA and wage and hour law compliance, HR best practices, and also preparing employee handbooks, employment contracts, severance agreements, and non-competition, confidentiality, and invention assignment agreements. 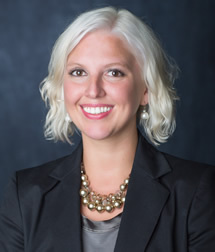 Nicole also acts as the outside and general counsel for many of her clients, engaging and managing a network of attorneys nationwide in handling clients' legal needs. Nicole is a frequent lecturer and presenter on employment law topics. Heather Skelton has focused her practice exclusively on the health care industry. She began her career in-house in at a managed care organization, and then opened her own practice to fulfill a need for advice and counsel on the complex regulations and nuances of healthcare. Heather represents medical practices, individual physicians, and those in the health care industry. -Heather established her practice out of a desire to be an advocate and protector for medical practices and physicians who are encumbered with the day-to-day hassles of rules, regulations, and payment frustrations. Heather is a frequent speaker to local and national specialty healthcare groups. 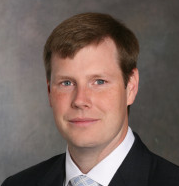 Jared Gardner is a commercial litigator with fifteen years of practice in multiple state and federal courts, including North Carolina's Business Court. Jared's experience includes corporate governance, shareholder and partnership disputes, fiduciary liability, consumer class action defense, franchisor/franchisee disputes, business buy/sells, commercial loan transactions, loan workouts, lender liability, insurance coverage and bad faith, and unfair competition. Jared's practice also involves employment advice, counsel and litigation, including executive hiring and departures, litigation involving non-competition/solicitation agreements, defense against claims of virtually every type of alleged discrimination and harassment, and federal and state wage and hour law. Jared is dedicated to client service, striving to provide not merely favorable results, but good counsel and, above all, value. 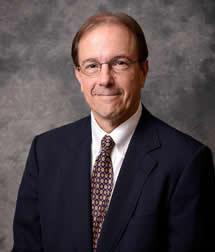 Fred Parker counsels and represents individuals and businesses experiencing tax disputes and controversies before the federal, state, and local taxing authorities. His background in commercial litigation and related transactional work allows him to provide his clients a different and effective approach for handling matters involving the Internal Revenue Service, state Departments of Revenue, and city/county tax assessors. jocelyn Hoefling joined Gardner Skelton after serving in Atlanta, Georgia as Assistant Regional Counsel with the Department of Health and Human Services. In her role at DHHS, Jocelyn represented the Centers for Disease Control and Prevention and other federal agencies in employment discrimination hearings, mediations, and settlement conferences. Jocelyn's experience at DHHS and her Master of Public Health degree has been a tremendous asset to her work at Gardner Skelton, where she focuses primarily on employment law and health care regulation. In addition to counseling clients, Jocelyn enjoys conducting trainings for managers regarding employment law issues and strategies to avoid litigation. 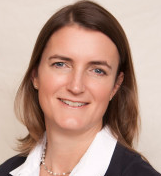 Mary Bruins has a passion for employment law in both the litigation and advisory contexts. Prior to joining Gardner Skelton, she worked for Warner Norcross & Judd, an Am-Law 200 firm in western Michigan, where she represented Fortune 500 companies in discrimination, unemployment compensation, harassment, retaliation, wage and hour, and non-competition disputes. 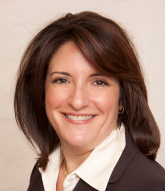 Mary also enjoys advising clients on compliance issues, and drafting employment agreements and policies of all kinds. In serving her retail clients, Mary developed an additional focus in advertising law, assisting her clients in claim substantiation, FTC challenges, and sweepstakes rules. Since joining Gardner Skelton, Mary has expanded her practice to the tangled web of health care regulation and compliance, from HIPAA and Stark Law to medical board position statements and physician employment agreements. A Michigan native, Mary has also lived in both Mexico and Spain, studying the Spanish language and interning at the Penal Court of Madrid. When not in the office, Mary can be found outdoors, enjoying the Lake Norman area with her sheltie.